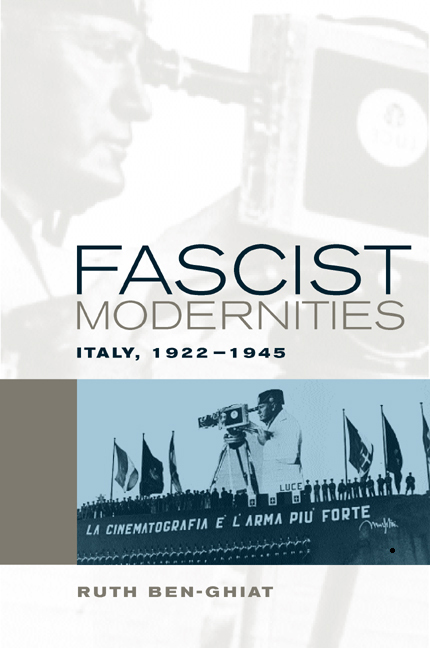 Ruth Ben-Ghiat's innovative cultural history of Mussolini's dictatorship is a provocative discussion of the meanings of modernity in interwar Italy. Eloquent, pathbreaking, and deft in its use of a broad range of materials, this work argues that fascism appealed to many Italian intellectuals as a new model of modernity that would resolve the contemporary European crisis as well as long-standing problems of the national past. Ben-Ghiat shows that—at a time of fears over the erosion of national and social identities—Mussolini presented fascism as a movement that would allow economic development without harm to social boundaries and national traditions. She demonstrates that although the regime largely failed in its attempts to remake Italians as paragons of a distinctly fascist model of mass society, twenty years of fascism did alter the landscape of Italian cultural life. Among younger intellectuals in particular, the dictatorship left a legacy of practices and attitudes that often continued under different political rubrics after 1945. Ruth Ben-Ghiat is Associate Professor of Italian Studies and History at New York University.